Thank you for your support of our organisation whether through membership, involvement in one of our many community events, such as our photography competition or one of the wildlife walks on Weyba, or perhaps you registered your protest against inappropriate development for Lake Weyba and it's catchment area on our website. The proposed urban development application known as "Noosa on Weyba" is now open for Public Comment. submitted their response to the 104 requests for further information to the Sunshine Coast Regional Council on the 28th of October. 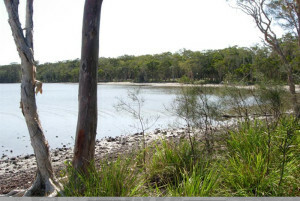 Friends of Lake Weyba are striving to obtain a very significant number of submissions to make a real impact with Council! This is the ONLY chance residents and concerned members of the community have to express their views and concerns and we urge you, your neighbours, your friends, your family and business associates to lodge a submission with the Sunshine Coast Regional Council. The public submissions period has now commenced and will close on the 10th December. lodge a submission and to encourage you neighbours, family and friends to do likewise. Guide lines for making a submission and sample submission. FRIENDS OF LAKE WEYBA INC.